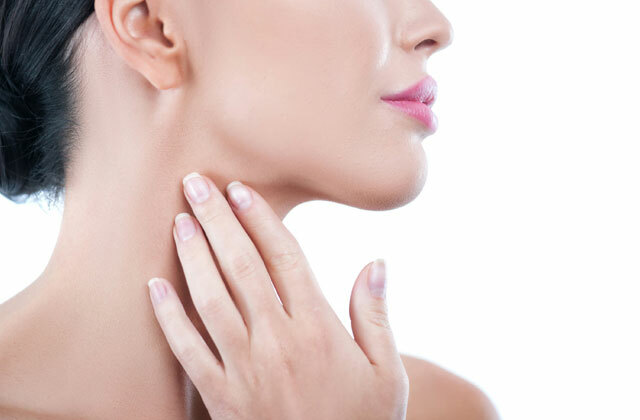 A neck can often expose tell-tale signs of age well before the face does. Weight loss, sun damage, diet, and heredity all play major roles in how the necks ages. We are all born with substantial horizontal neck wrinkles, including babies and children. As we age, these necklines can become more prominent and in some cases, even darken in color. Although these neckbands are inevitable, they can be improved with dermal fillers. Dermal Fillers such as Teosyal or Juvederm, are non-surgical, Hyaluronic acid based injectables. These dermal fillers add volume and moisture, while filling in deeper lines in the neck. The ideal treatment for necklines would be a series of 2-3 of Teosyal Redensity 1 (non-cross linked Hyaluronic Acid) which hydrates the skin in the areas of the deep lines. When Teosyal Redensity 1 is injected into the skin creases it hydrate and softens the appearance of lines and wrinkling. Teosyal and Juvederm injections can last anywhere from 6 months to 1 year in the neck area. Micro needling or Fraxel are non-ablative and non- invasive skin rejuvenating treatments. Both treatments use the same principle of creating a controlled skin injury: the creation of these non-damaging micro wounds in the skin, trigger the body to produce more collagen and elastin to repair itself, thus producing younger, healthier, skin. Ultherapy is also a non-surgical option that uses safe ultrasound technology. Ultherapy focuses its ultrasound energy a few layers beneath the skin’s outer surface. Ultherapy at a 3.0 mm and 1.5 depth increases collagen production that will target necklines as well as the contour of the jawline and neck. A huge benefit is that Ultherapy can also bypass the surface of the skin, delivering focused energy at depths of up to 4.5mm – the same foundational layer typically addressed in a surgical facelift This treatment is directly used to help tighten the neck, submental area and jawline. For more information on Dermal Fillers, Ultherapy, Fraxel and Micro Needling visit Lasting Looks Clinic in Toronto.